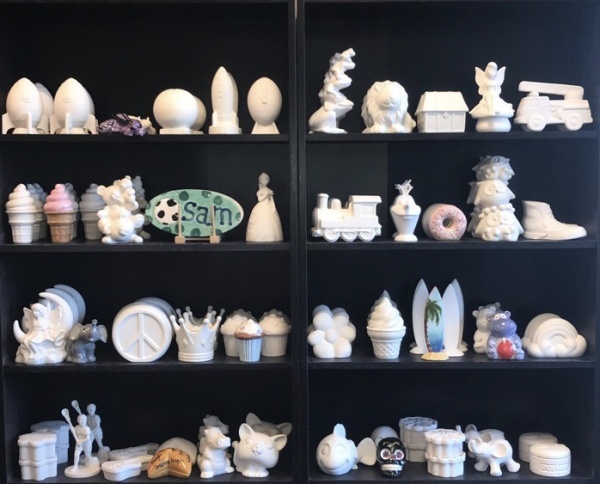 Glaze is Rockland’s premier paint your own pottery studio located just over the border from New Jersey in Orangeburg, NY. Unleash your inner artist! We have hundreds of pieces to choose from and lots of ideas to inspire you. No reservations required. 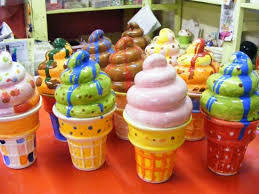 Choose a piece of pottery from our extensive collection of plates, bowls, beverageware, home décor and seasonal items. Your kids will have a hard time picking a favorite from our kids shelves which showcase Disney and Marvel licensed items, figurines, banks and boxes galore. We supply everything you need to create your masterpiece including paint, stamps, sponges, stencils and inspiration books. Leave your piece with us for a week and we will glaze it and fire it in our kiln. Our pricing is all inclusive so there are no hidden costs. The price of the piece that you select is the price you pay. No studio fee, no firing fee, no nonsense. Prices start at $8.00. Let Glaze host your next birthday party or event. Invite your guests to our newly decorated party room which can accommodate approximately 24 people. Call or email us for more info on pricing. 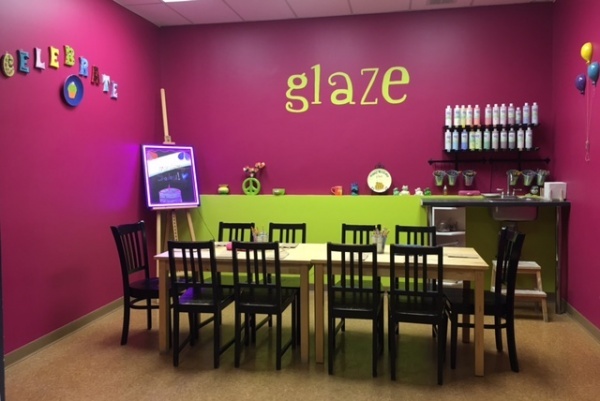 Glaze is great for children’s birthdays, bridal and baby showers, corporate team building events, bachelorette parties or any other occasion you can think of. Your troop can earn their pottery badge at Glaze. Call for info on our special girl and boy scout pricing. Looking forward to seeing you at Glaze! 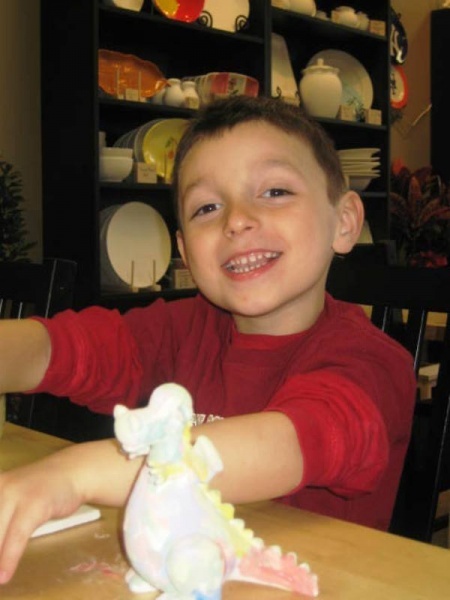 Unleash your child’s inner artist at Glaze Pottery and Art Studio during our Summer Art Experience. 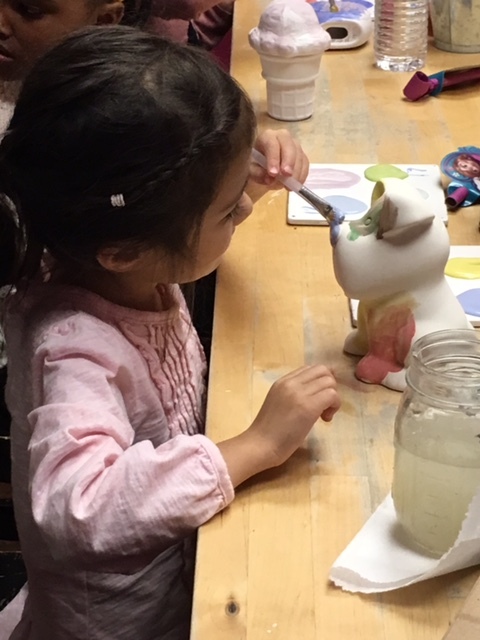 Our resident artist will take your child on a journey that will produce artwork from Disney and a host of themes including tie-dye, jewelry, and outer space. Flexible registration makes it easy to sign up for one week or all seven! Become part of the Glaze family this summer. For children in grades first-sixth. Check our website or call for more information.